The soft spring sun is about to vanish into the darkness. The crowd nevertheless is surging in the small, narrow lane linking Karkhana Bazaar with Montgomery Road in the close vicinity of Faisalabad’s colonial Ghanta Ghar or Clock Tower. Most men appear to be regular visitors to the place, waving to and shaking hands with each other as they shuffle past tiny cabins lined on both sides of this tightly packed street. The lane is part of the city’s famous Sootar Mandi, said to be Asia’s largest yarn market. It is hard to imagine for a first-time visitor to the place that millions are lost and made here every day in trading, mostly speculative. 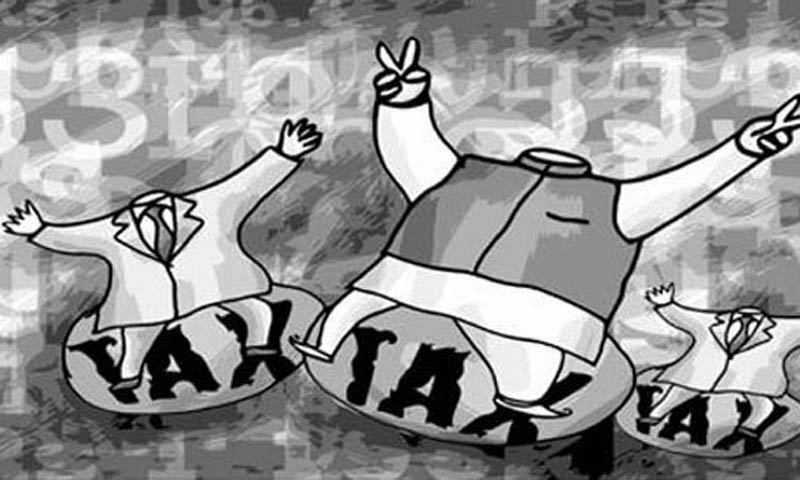 Yet neither the traders nor the ‘investors’ exist on the tax rolls of the Federal Board of Revenue (FBR). The business transactions take place on plain paper chits or on cell phones, hidden from the eyes of the taxmen and having no legal value, and usually on credit. Little wonder then that the majority of the traders keep strangers and journalists at bay. “Mutual trust is the basis of our business,” said a young trader as he tried to stretch his legs in his 4-ft wide and 2-ft deep cabin he rents for Rs50, 000 a month. “It’s our little (informal) stock market," he said, affectionately. Mutual trust doesn’t mean there will be no defaults or frauds. “In this kind of business where no legal contract is signed and no legal note is involved, you cannot rule out people on both sides — traders and investors — defaulting on payments,” another trader concluded. Cheques are bounced every morning; the defaulters ‘go into hiding’ if the amount involved is too large. No one goes to police or courts. It’s simply useless. 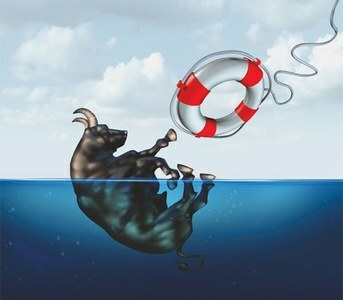 The market has evolved its own mechanism to deal with such situations. “Sometimes you recover the entire ‘lost’ amount, though after a time lag. In some situations, you have to be content with partial payment. In rare incidents the defaulters, mostly investors, vanish for a very long time or forever,” the second trader, who operates out of a rather bigger office in another corner of the Mandi, elaborated. All the mediation is done by the Mandi's traders body. Not all trade done in Sooter Mandi is speculative. “Speculative trading constitutes just one quarter of the total business transacted here,” explained Rehan Bharara, a former vice president of the Faisalabad Chamber of Commerce and Industry (FCCI) and a textile exporter. “Majority of contracts involve physical delivery of yarn,” he insisted, admitting that most transactions take place outside the view of the law. But then how many famous power loom owners, the main buyers of yarn in the city, are registered to pay taxes? Bharara, like many other, was worried about the crashing yarn market the day, the last Tuesday of March, we visited him. 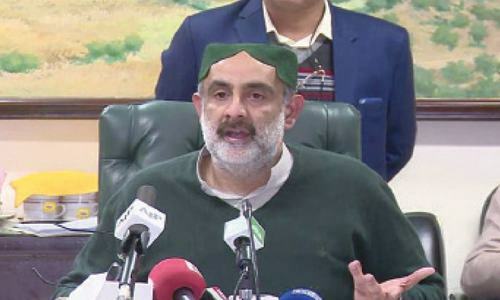 “The market of the domestic cotton and synthetic yarn both has crashed in the recent days on large subsidised imports from India and 10pc appreciation in the Pakistani rupee,” he said. Power loom industry as well as value-added textile manufacturers and processors are happy on cheaper yarn imports because it is keeping the domestic spinners and yarn prices under pressure. But the sudden, huge revaluation of the rupee is unacceptable because it means significant losses to them. “We had booked our orders at a rupee-dollar parity of 105/108. With the price of the dollar dropping to Rs97-98 means every exporter has lost millions of rupees,” complained Syed Zia Alamdar Hussain, one of the major knitwear exporters from Pakistan’s Manchester that boasts of heavy presence of textile processing industry. “The textile industry is in trouble because of the rupee revaluation and needs to be compensated through rebate equal to revaluation of the rupee on exports. At the same time, the government must bring down the electricity and oil prices to help us cut our costs,” he demanded. What those priorities should be? Reduction in the cost of doing business, provision of gas and electricity to the factories without any interruption and complete overhaul of the power sector to cut electricity price. Moreover, the neglected areas of environment, health and education should be given the kind of official attention these need if the economy is to grow on a sustainable, long-term basis. “Just look at our city. It earns $4-4.5bn a year in export revenues every year and provides jobs to millions. Yet the health and education facilities here are less than inadequate. Industrial areas are without roads, security and waste water treatment plants. “You don't want to use the tap water to drink and cook food. Individual businessmen can't develop these facilities. They've done their bit by building their roads and hiring security. Now the state must do its job if we want to benefit from the GSP+ trade concessions of the EU,” argued Azizullah Goheer, secretary of the Pakistan Textile Exporters Association. Instead of these facilities, the businessmen are getting threatening notices from the district administration.